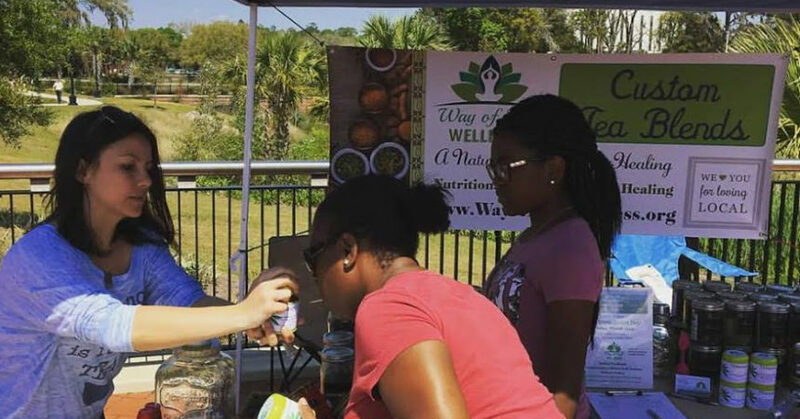 Kayla Sulla showcased her natural tea blends at her Way of Life Wellness table. The diagnosis was frightening, when doctors told Kayla Sulla that she had a disease with a name that she couldn’t even pronounce. Five years after undergoing surgery for Supraventricular Tachycardia, a condition which affects her heart rhythm, she is carrying on a normal life. She is doing so by practicing holistic treatment after surgery to implant a cardiac catheter ablation failed. Sulla’s effort to stay healthy, led her to earning a certificate as a Reiki Practitioner. She also is a Certified Nutritional Therapist. Almost a year ago, she decided to take a bold step by taking her practice to the public by launching Way of Life Wellness. One of her selling points is using her own case of having to live with Supraventricular Tachycardia. The disease causes abnormally fast heartbeats that include many forms of heart rhythm problems that originate above the ventricles in the atria or AV node, according to the Mayo Clinic, a medical research group that is renowned for its research. According to the Mayo Clinic, a normal heart rate is 60 to 100 beats per minute and heart rates of more than 100 beats per minute is called a tachycardia. That occurs when the electrical impulses that coordinate heartbeats don’t work properly. Most people with rare episodes of supraventricular tachycardia live healthy lives without restrictions or interventions. For others, treatment and lifestyle changes can often control or eliminate rapid heartbeats, according to the Mayo Clinic’s study. Sulla, a 28-year-old New York native, resorted to the latter, after seeking treatment at The Art of Healing Holistic Wellness Center in her home state. Her treatments emphasized holistic methods, that she now uses in her business. While Sulla has become a staunch believer in holistic medicine, she said she isn’t totally done with traditional treatments. A highly requested service that she provides involves an ancient Japanese healing technique known as hands-on reiki. Some of the other techniques include chakra balancing, nutritional therapy and tea blends. “When I went to Way of Life Wellness, I had a Reiki treatment done for a sore shoulder,” said Sherry Richbourg, who travels from Monticello for treatments. “I feel much better after, and I am more aware of what was causing my shoulder to hurt. A Reiki session usually lasts about 75 minutes. It helps by balancing and removing blockages as well as opens energy passages throughout the body, Sulla said. 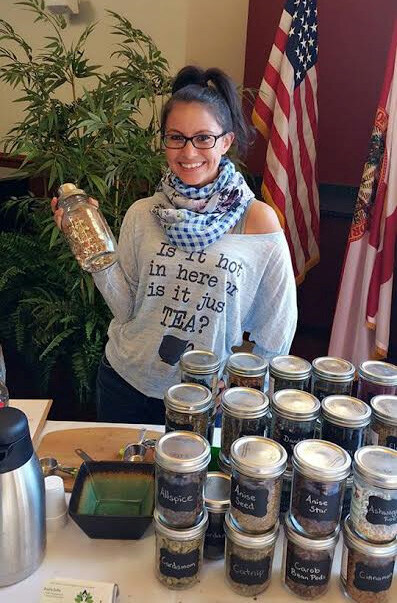 Clients like Synita Gardner, who was hooked after her first sample, find the teas satisfying.